The participants of Dreadtober normally show me up, I have accepted that and moved on. 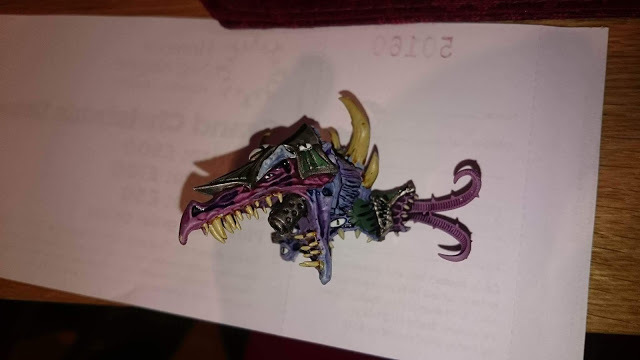 Tzeentch has a twisted path for us all. 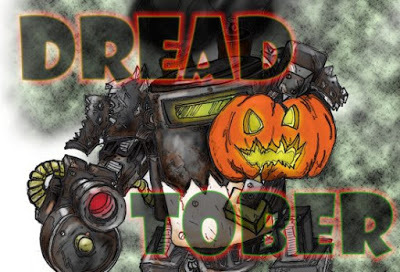 But now my own set of Dreadtober maniacs are out doing me as well! 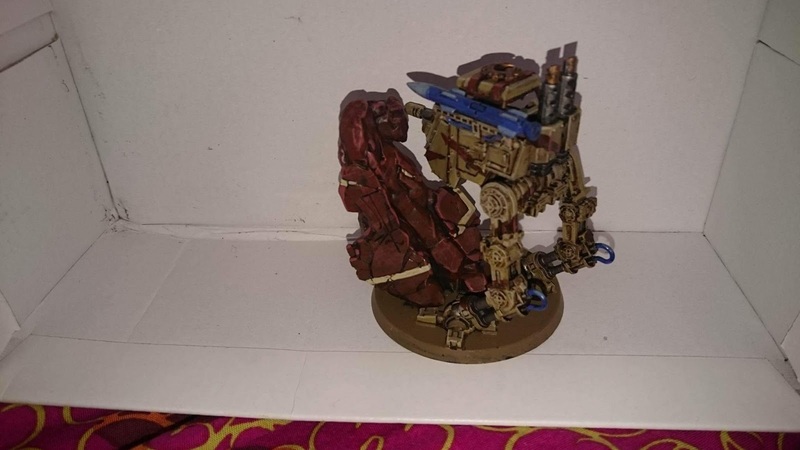 I shall have to get a move on and show them who is potentially boss. 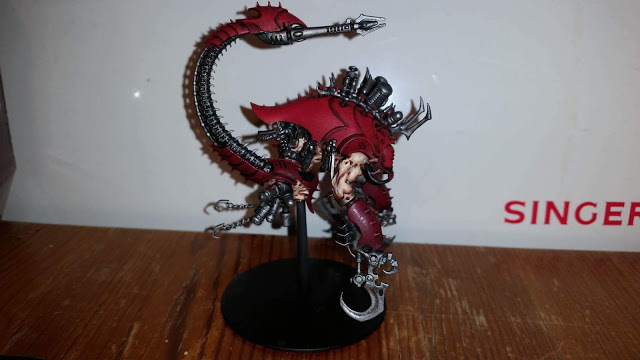 Please do drop a comment below for the folks, everyone is looking for feedback. 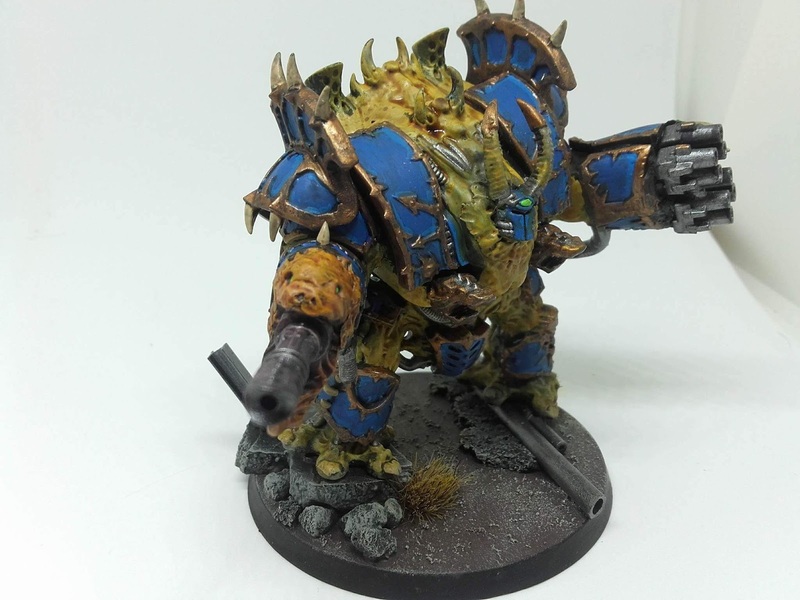 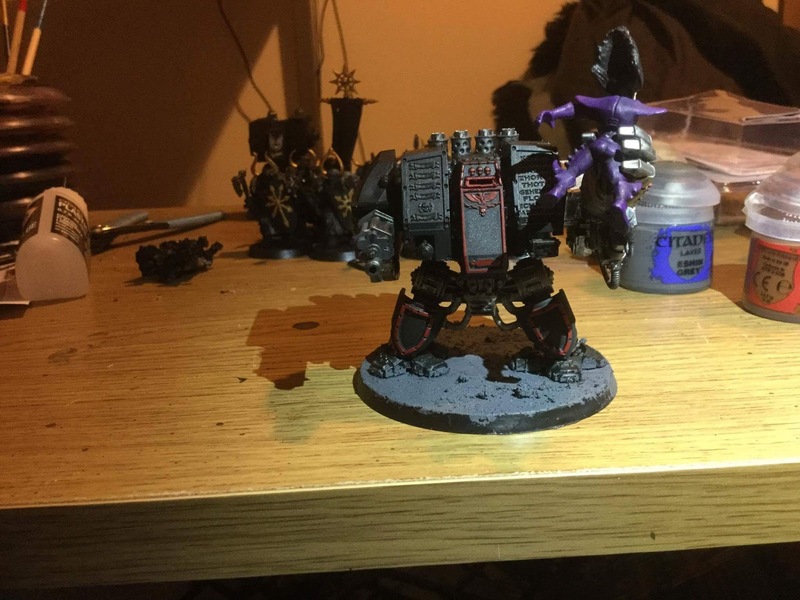 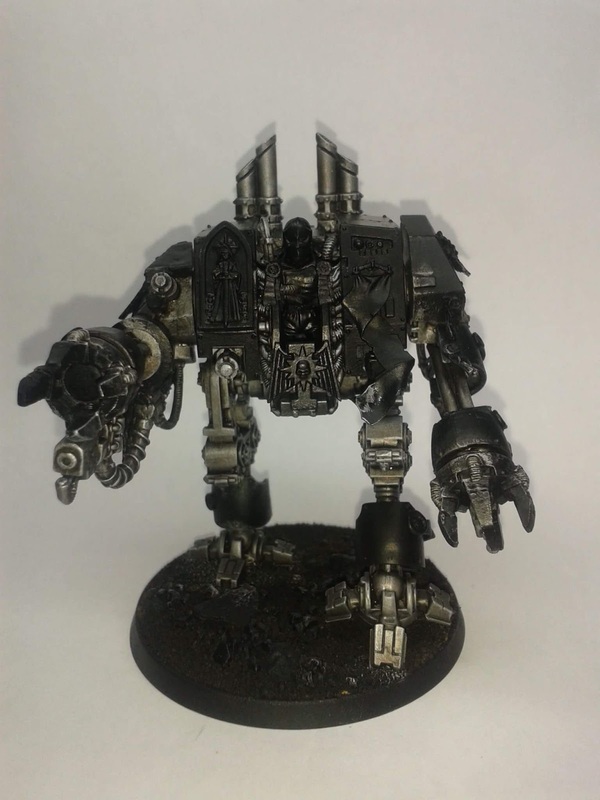 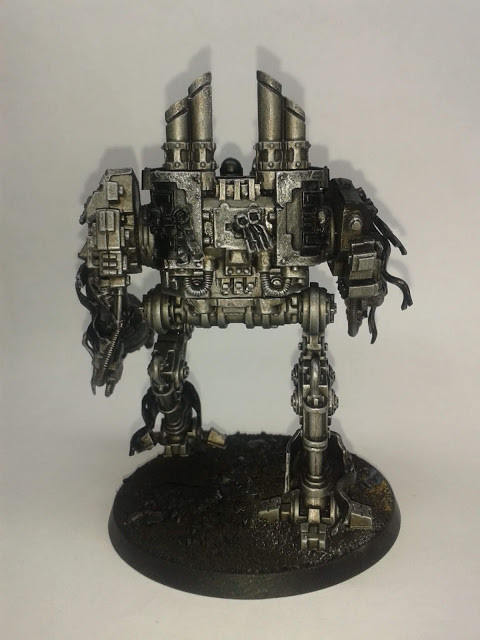 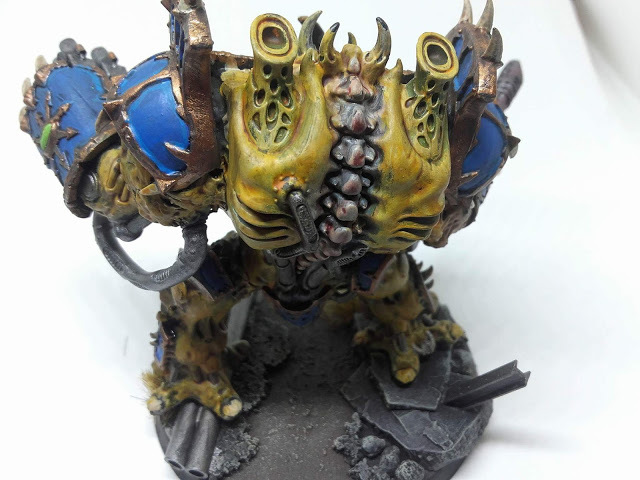 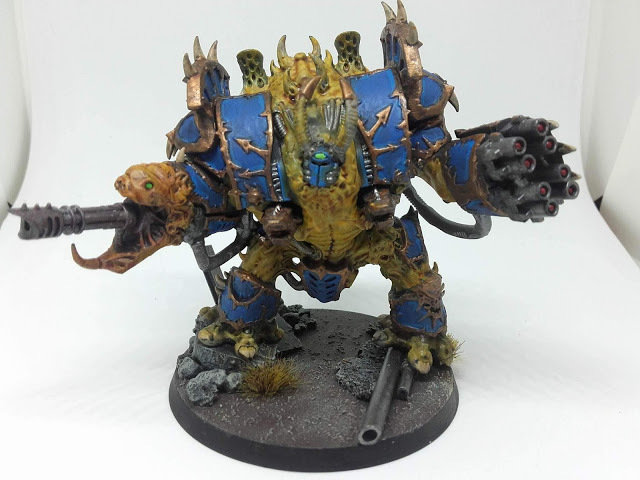 “Well I had to knuckle down and catch up with the rest of my Dreadtober crew, which made me regret going with trying out some new techniques. Also it made me further hate all the trim on Chaos stuff…. 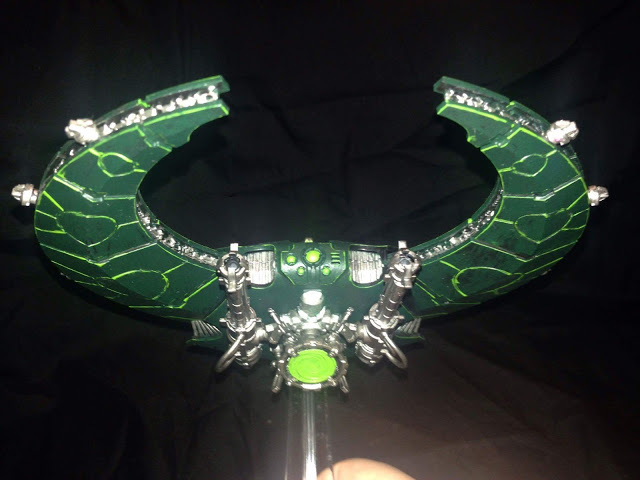 so much trim… But still I moved on and started to use the paint to try blend in my green stuff work and make my happy little snake arm shine. I really like how it turned out in the end. 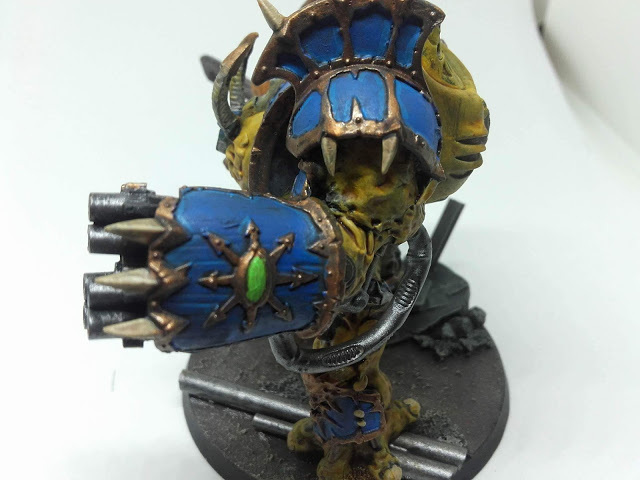 I actually used a second blue along the armour edges to add some colour. Not sure how it works, but folks like Mordian do it and it looks good. 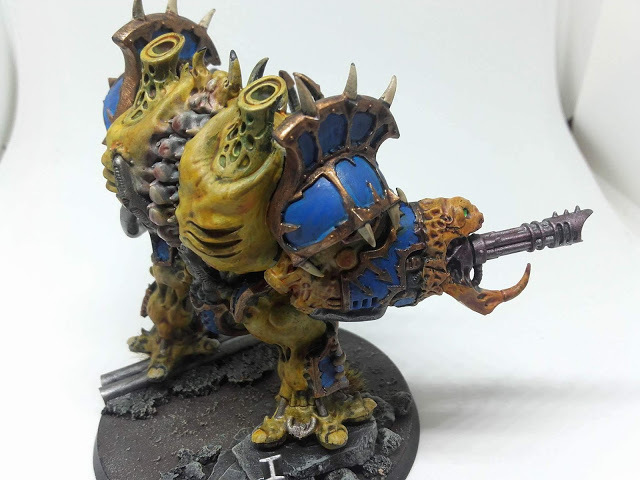 Thousand Sons Hellbrute – SNEK! 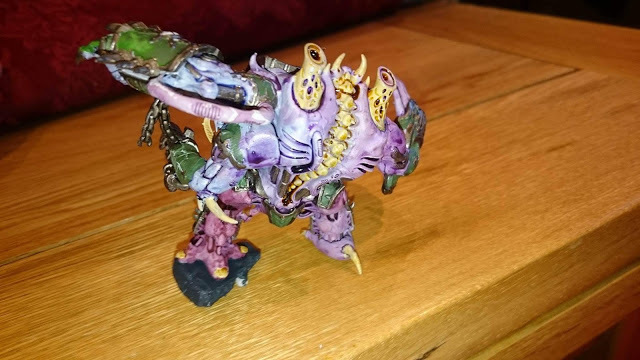 Thousand Sons Hellbrute – quite happy with how the spine looks. 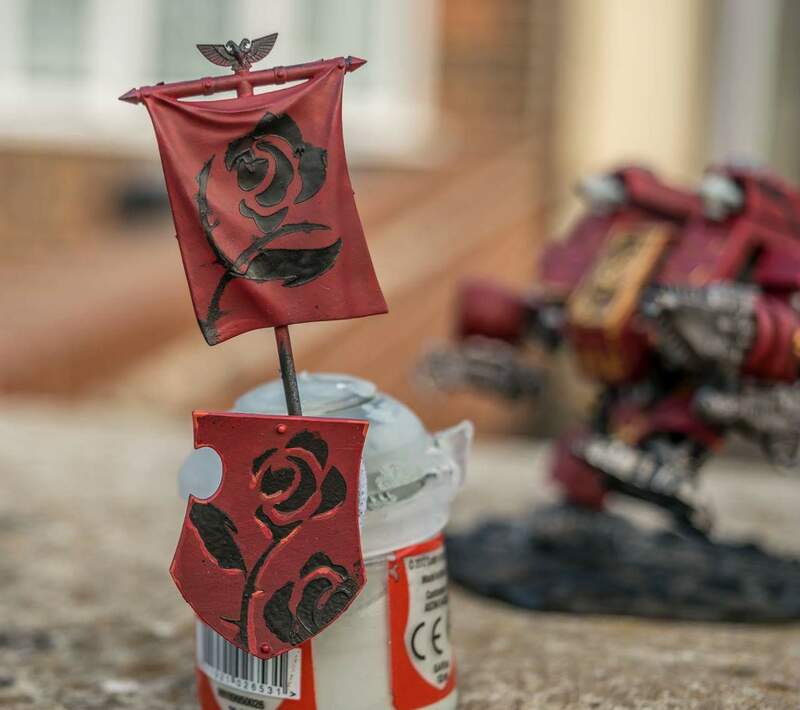 Ironclad Dreadnought “Mandrake” – banner and shield with a rose theme, because Dessie is a huge fan of Rosé wines. 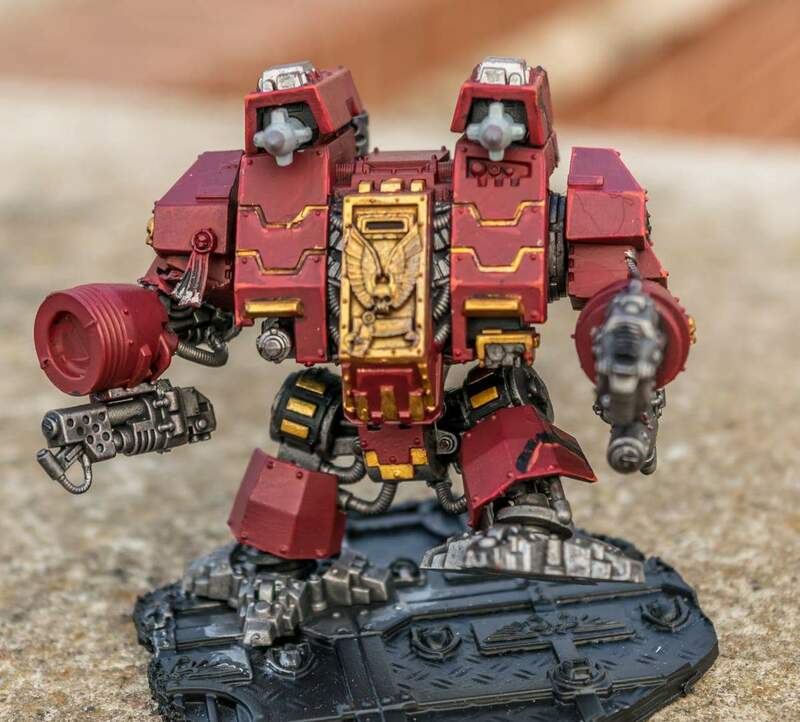 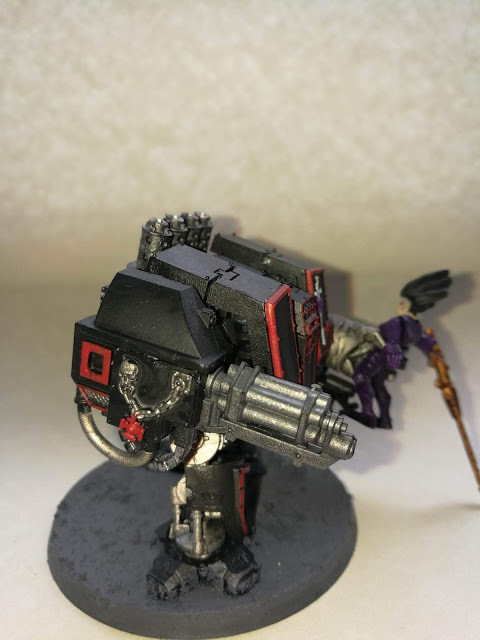 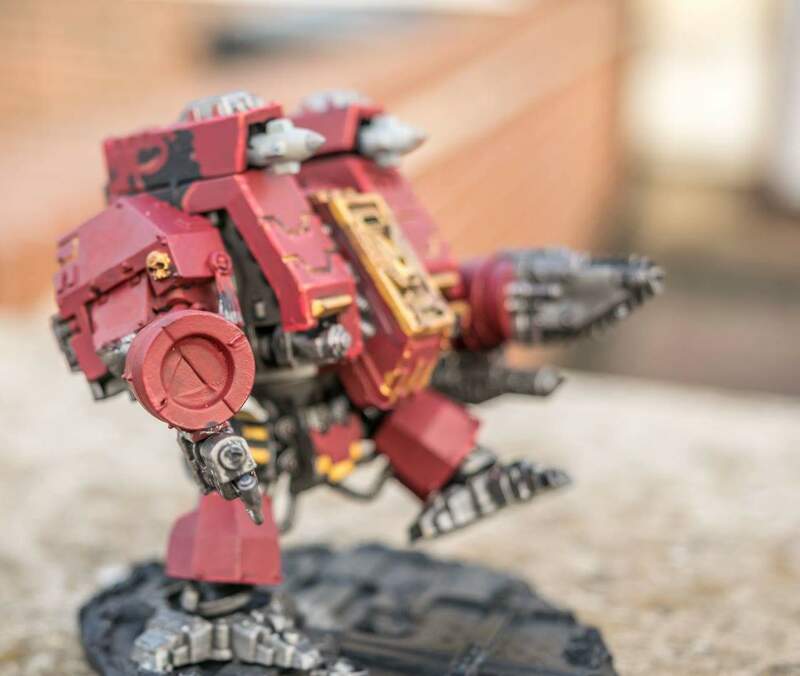 Venerable dreadnought, now with added toy. 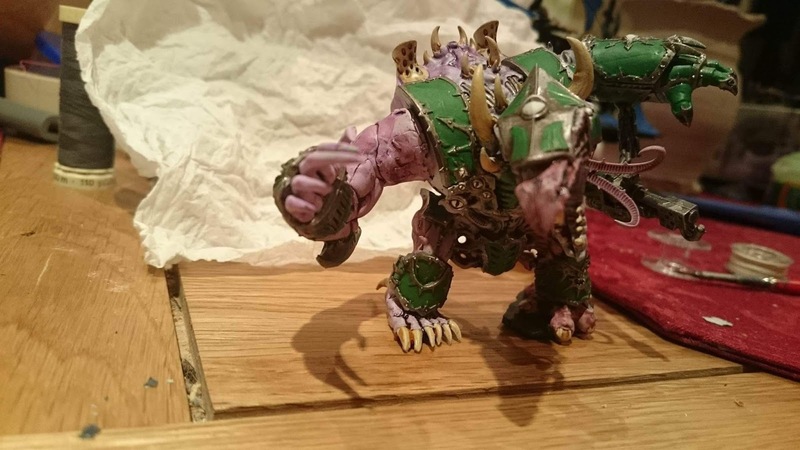 WiP Hellbrute – what a lovely face. 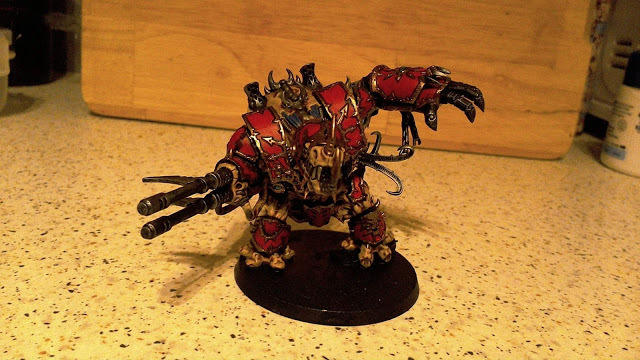 Final painted and inked Hellbrute. 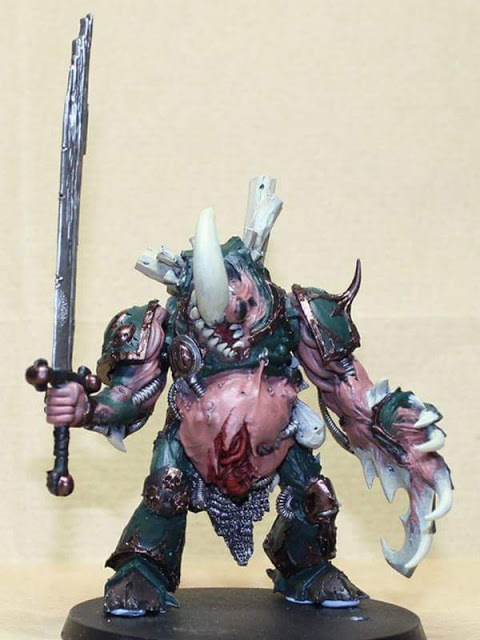 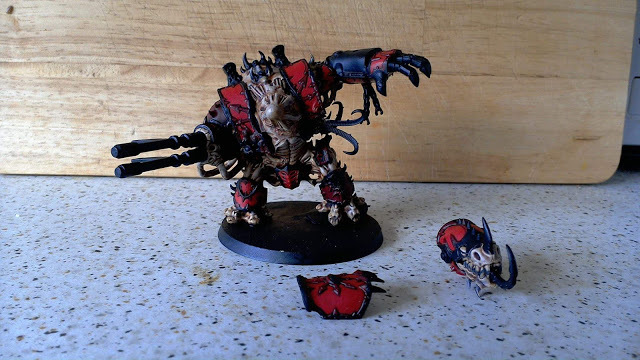 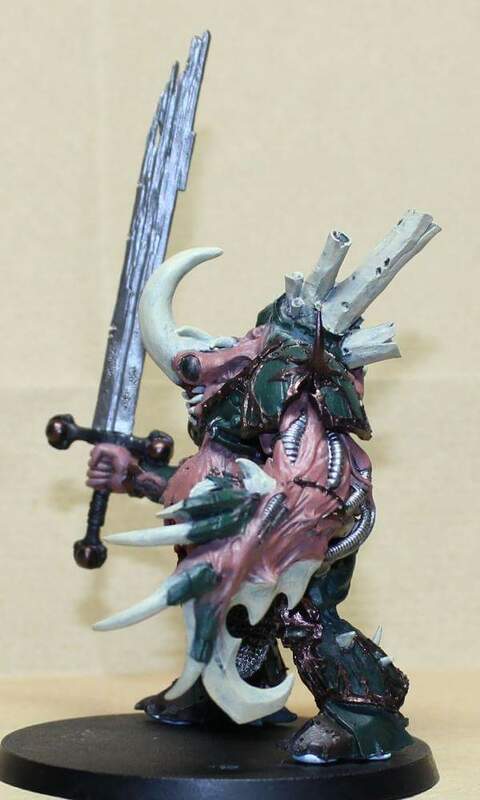 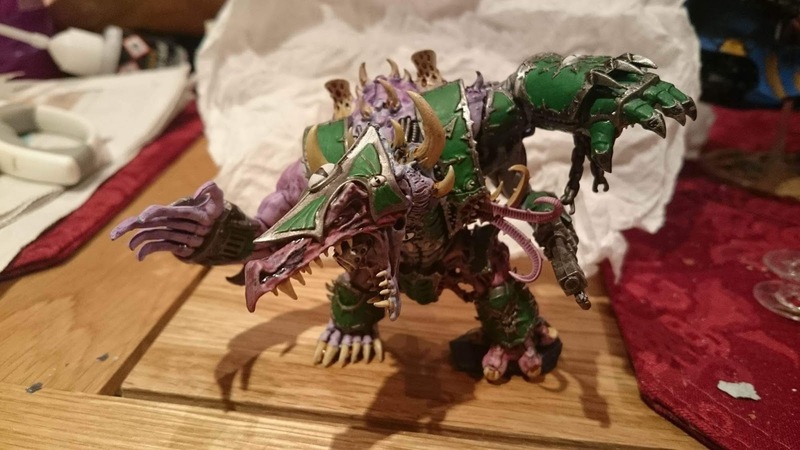 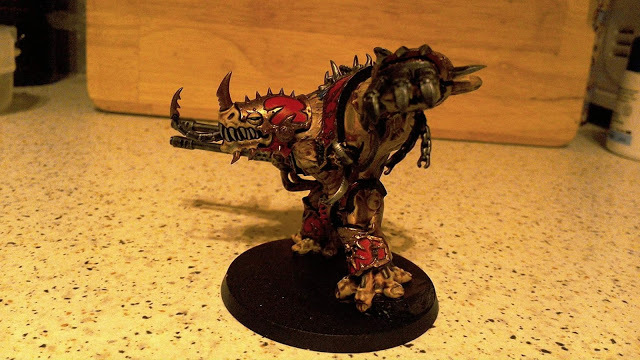 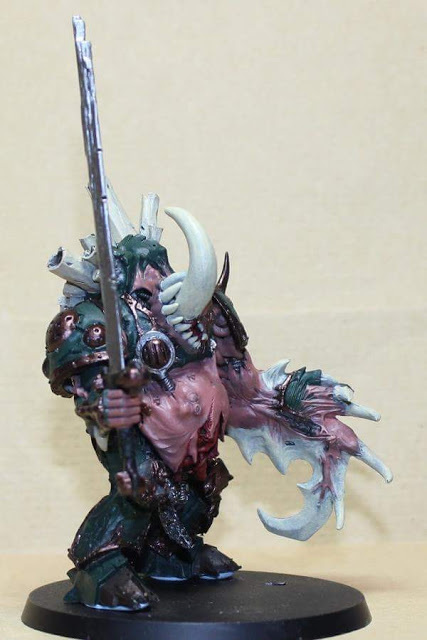 This Hellbrute is all done but the base and proper mutated it is and all. 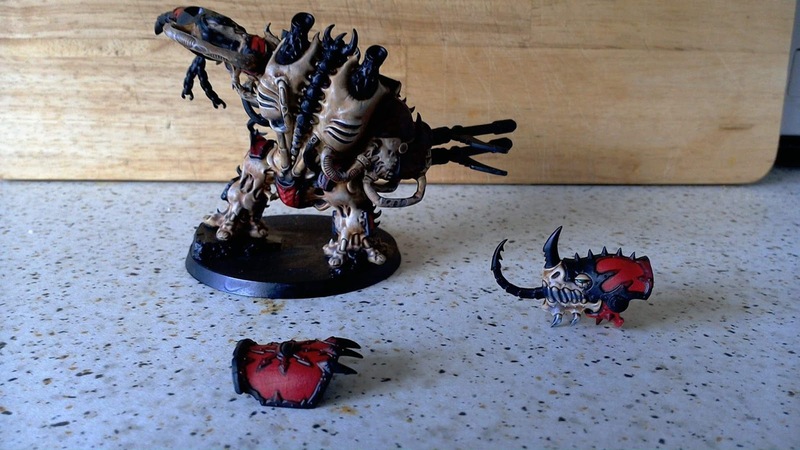 I don’t know about you but I think this is amazing. 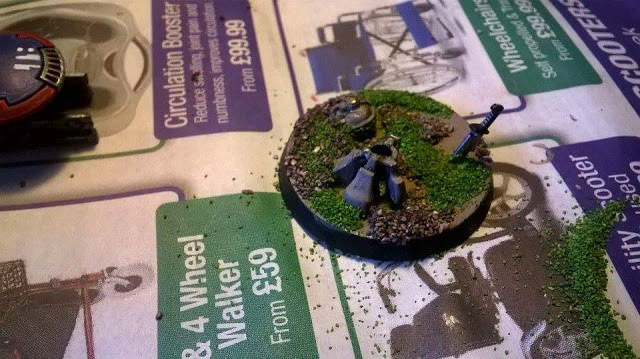 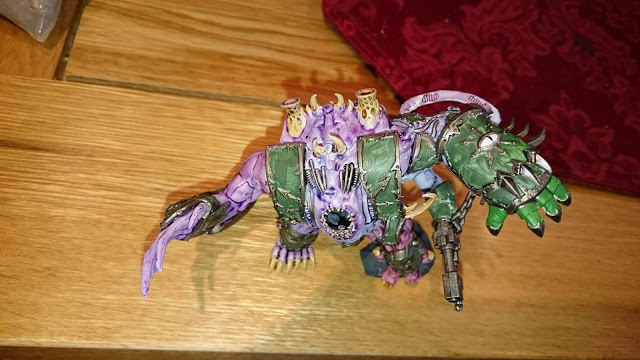 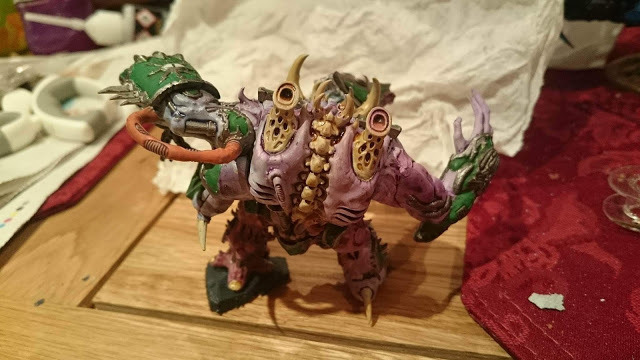 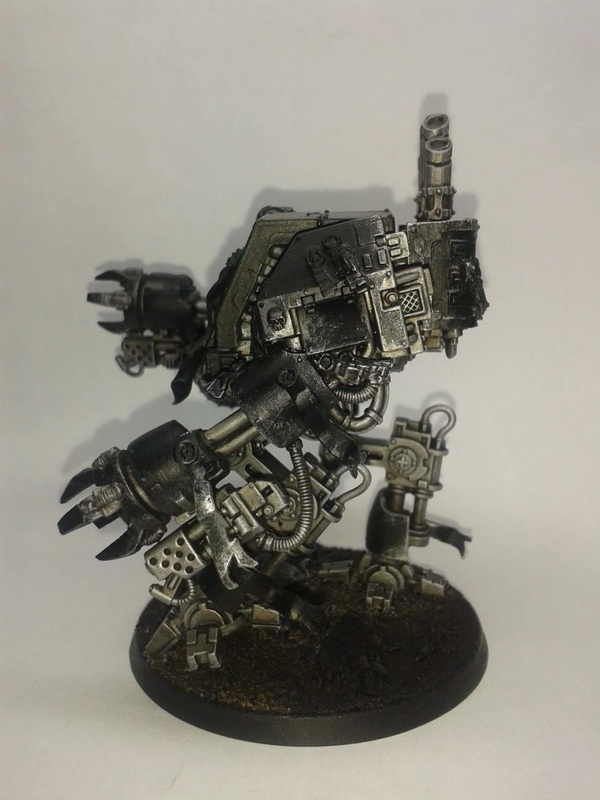 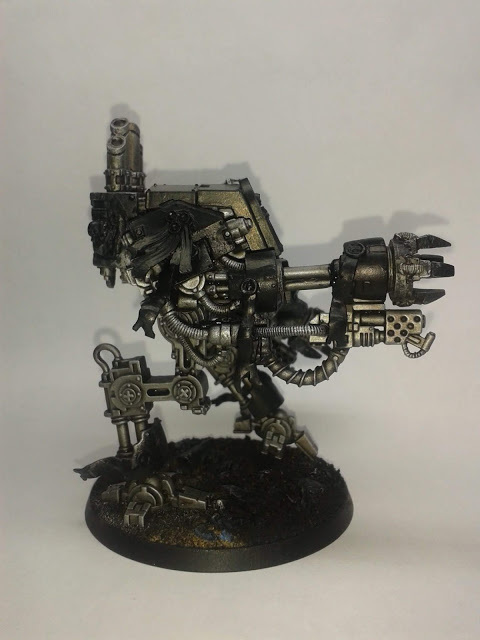 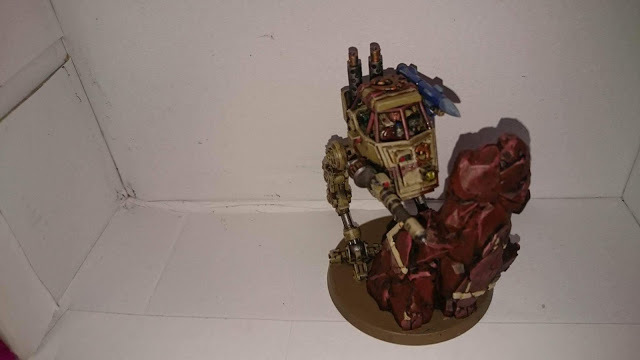 Genestealer Cult Sentinel – started showing its true colours. 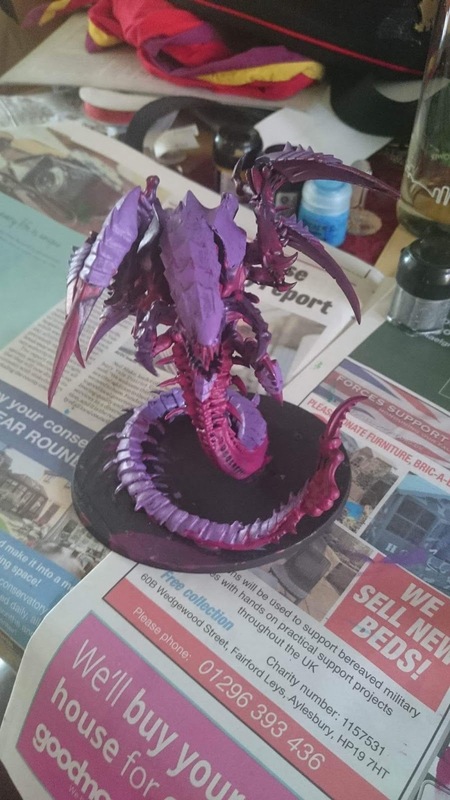 Now with even more paint! 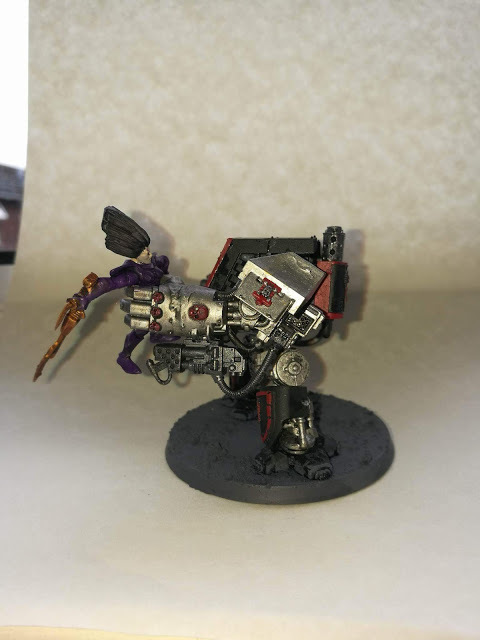 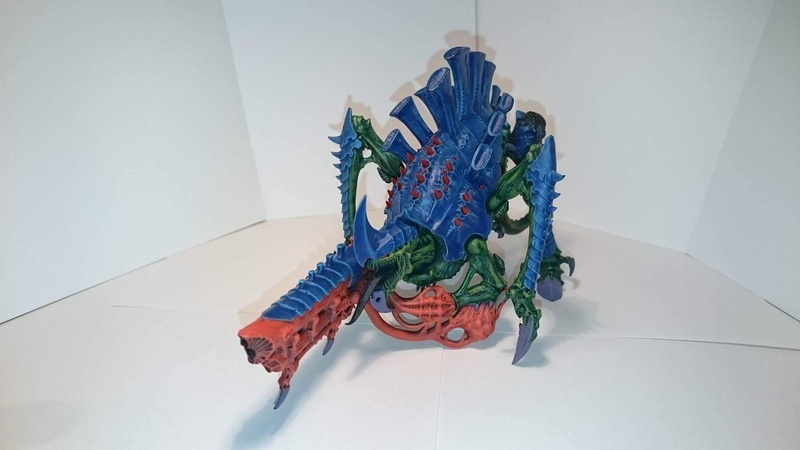 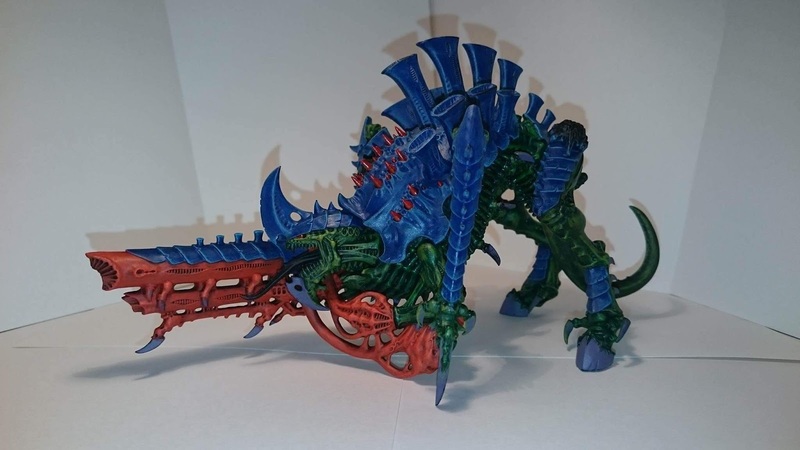 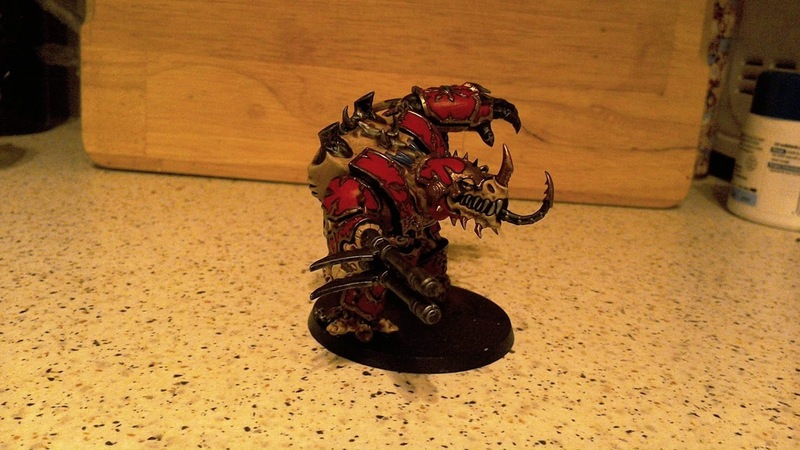 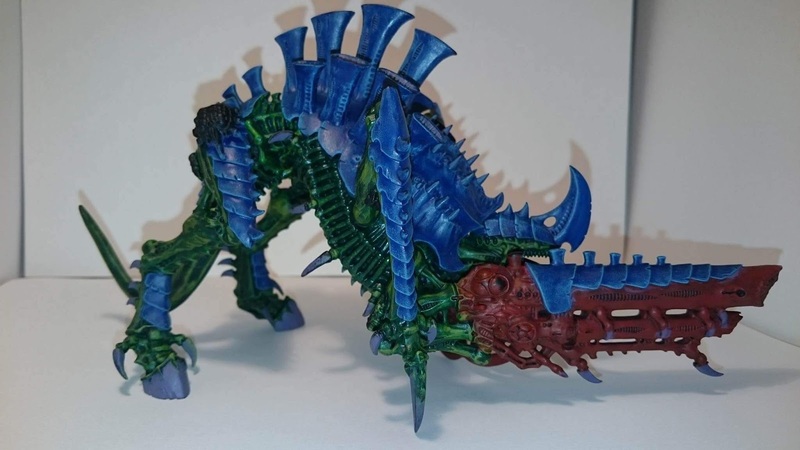 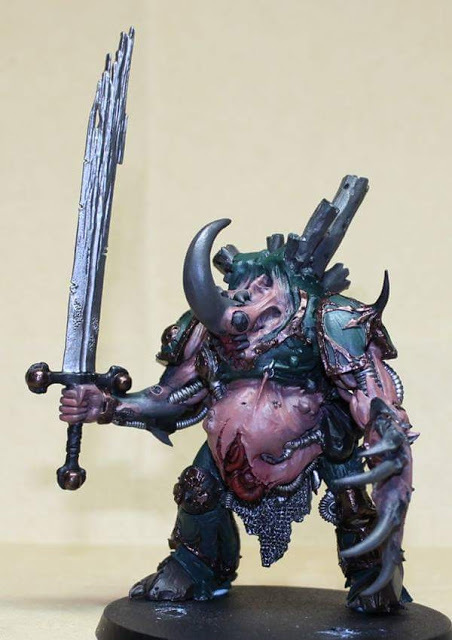 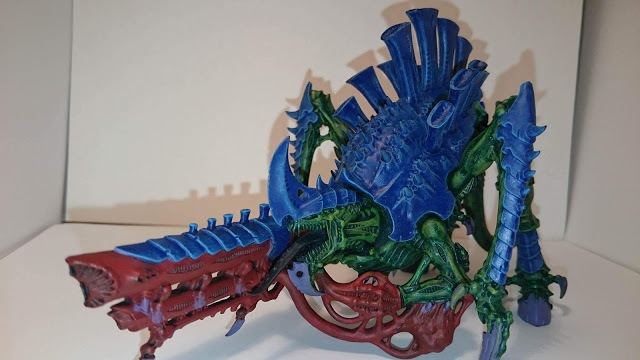 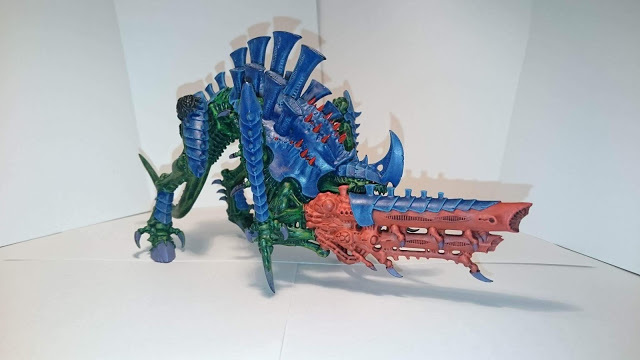 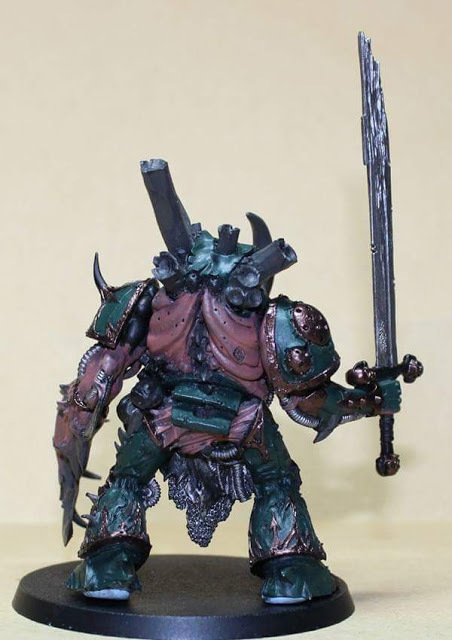 Doom Scythe – Kroff – Completed! 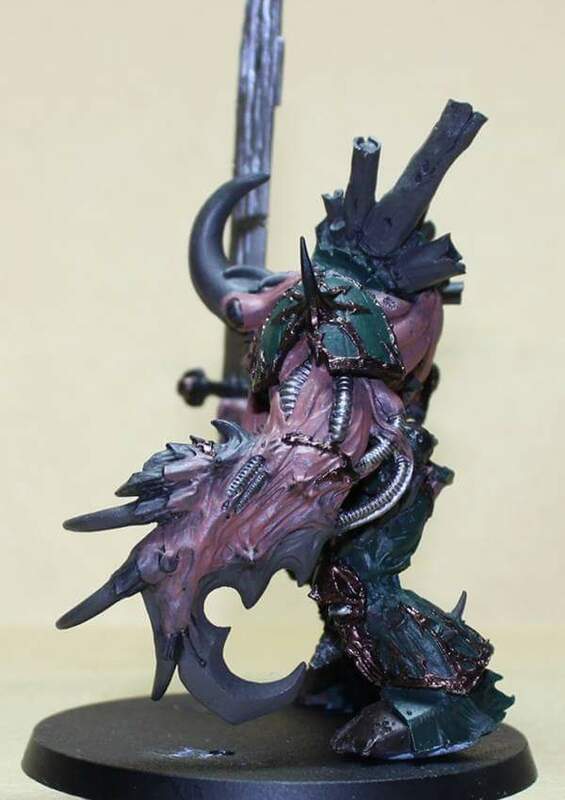 Doom Scythe is coming for you! 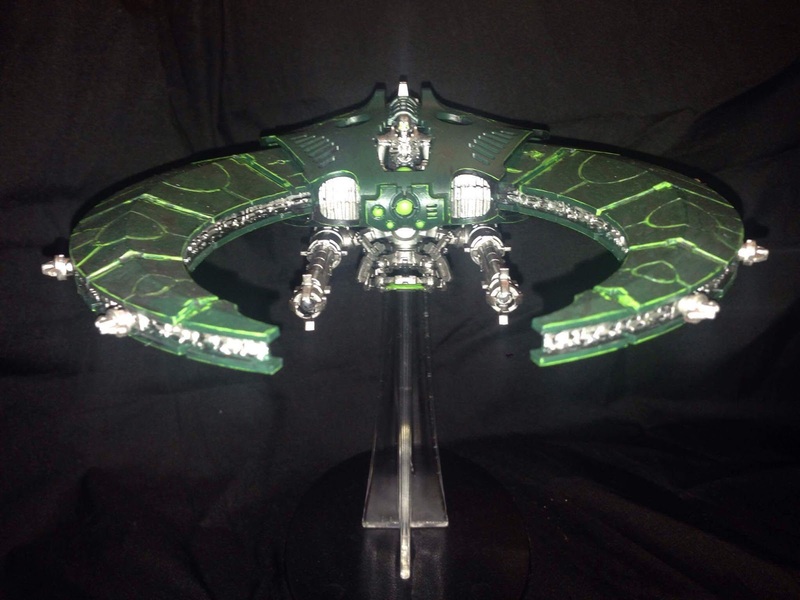 Doom Scythe – I am liking the ominous glow. 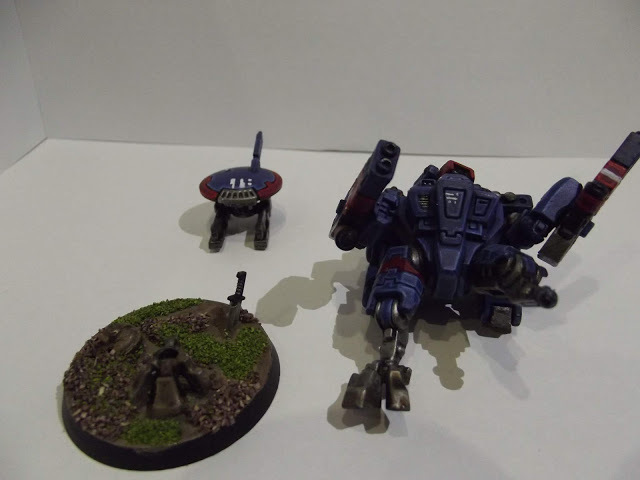 Battlesuit bases and bonus sneaky drone. 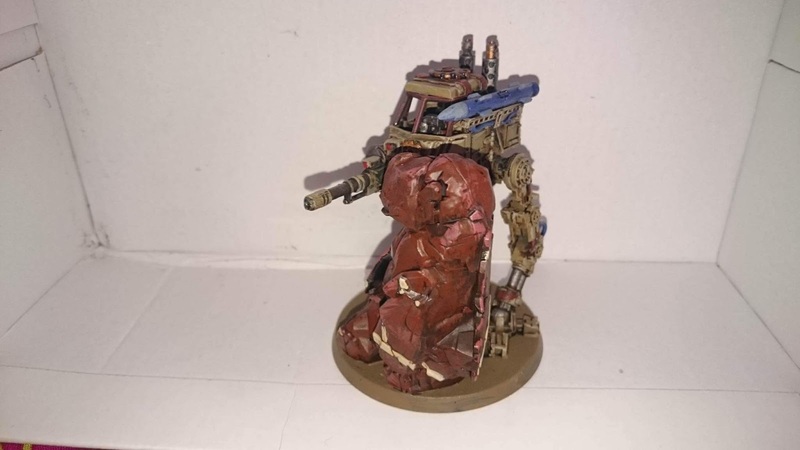 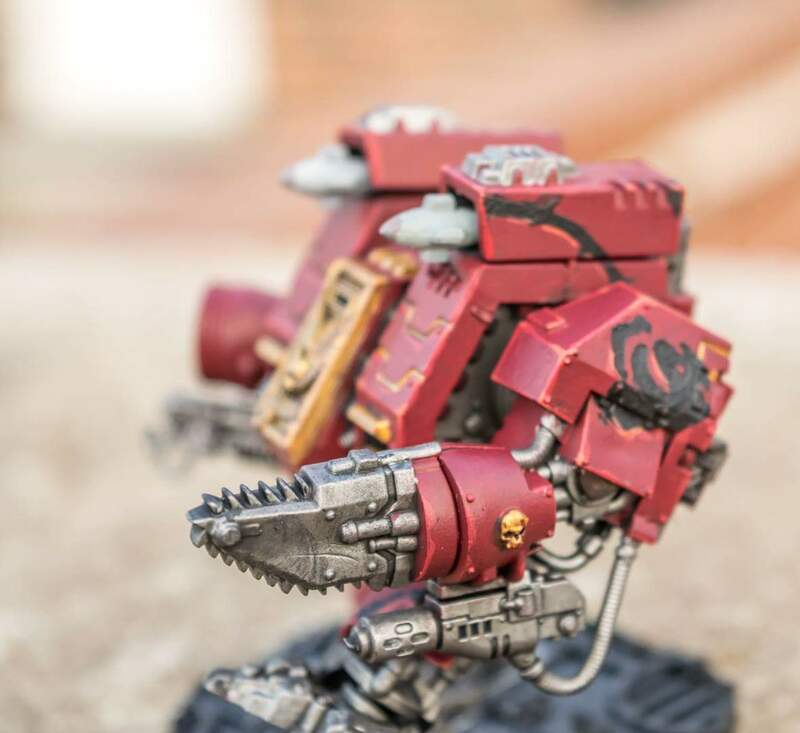 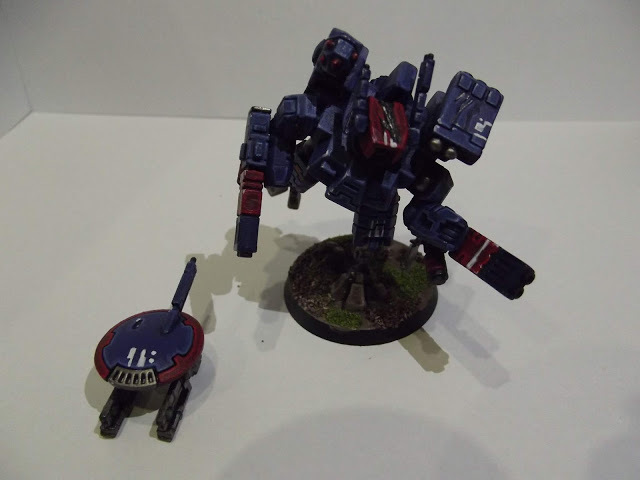 Tau Crisis Battlesuit – with lovely freehand sept markings.